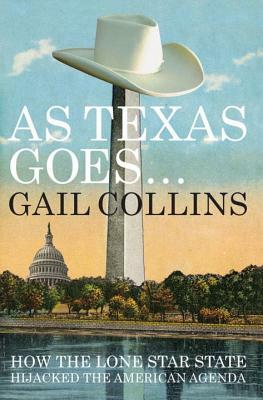 Not until she visited Texas, that proud state of big oil and bigger ambitions, did Gail Collins, the best-selling author and columnist for the New York Times, realize that she had missed the one place that mattered most in America's political landscape. Raised in Ohio, Collins had previously seen the American fundamental divide as a war between the Republican heartland and its two liberal coasts. But the real story, she came to see, was in Texas, where Bush, Cheney, Rove, & Perry had created a conservative political agenda that is now sweeping the country and defining our national identity. Through its vigorous support of banking deregulation, lax environmental standards, and draconian tax cuts, through its fierce championing of states rights, gun ownership, and, of course, sexual abstinence, Texas, with Governor Rick Perry's presidential ambitions, has become the bellwether of a far-reaching national movement that continues to have profound social and economic consequences for us all. Like it or not, as Texas goes, so goes the nation.